Hebrews 6 vs 1 speaks of ‘dead works’; that is work done by sincere people, often in the name of Christ, but without the Spirit of Christ. Put simply, an enthusiastic human effort to do things in a misguided attempt to appease God, aka religion. One of the great wonders of the Gospel of God’s Grace is the we can do nothing to earn our salvation! No amount of effort can improve your standing with God. Trying to do good things will not help. In fact, Isaiah tells us that our very best efforts are as ‘filthy rags’ before God (Isaiah 64:6). Our salvation is a free gift that we receive by faith, “For by grace are ye saved through faith; and that not of yourselves: it is the gift of God” (Ephesians 2:8). However, as James reminds us, the evidence that our faith is real is seen in our desire to serve God, not out of compulsion, but out of the love for Him that we now have in our hearts (Romans 5:5). Real love is not doing something for someone you love to get something in return, but doing simply because you love them and it is a joy to do so! Jesus spoke of following Him as not being a list of burdensome rules, but as being an effortlessly simple, peaceful and restful life (Matthew 11:28-30). But this then opens the question as to how we are to serve God in a way that is pleasing to Him? These study notes are therefore designed to be a guide for those who have been called to follow Christ, and how ‘Christian ministry’ should look, whether it be washing up cups after the church service or travelling to China to preach the gospel! Much of the following will also be valuable for those already ‘in ministry’, especially those who have become run-down or weary by the pressures that are often experienced and that can sometimes make us feel like we are just going through the motions! Whilst on the surface, we may think that the subject of ‘ministry’ affects those who have a particular ‘calling’, it will be seen that this is an area that affects (or should affect!) all those who would profess to serve and follow Jesus Christ. Christians are particularly good at speaking in ‘Christianese’! We use words that no one in the world has a clue about in our attempts to successfully communicate the gospel. So before we look any further, it would be helpful to explain what we mean by the term ‘ministry’. The dictionary defines ‘Minister’ as ‘someone who attends to people’s needs’, so therefore it follows that a ministry is the carrying-out of jobs that we do in order to attend to those needs. More specifically, ‘Christian ministry’ is the jobs that we do in, or for, the church in order to meet the needs of both those inside, and those outside the church. What is the purpose of ministry? The main purpose of all Christian ministries is to bring those ‘outside the church’ into a relationship with Jesus Christ as their Lord and Saviour. Then, once this is achieved, the objective is to teach and equip these people to build and live their lives based on God’s Word – The Bible. As a result, we then nurture these people so that they too may get involved in ministry; and so it continues until the time when Jesus returns for His church. We are to: 1) make disciples, 2) baptise them into the faith, and 3) teach them. Who is eligible for ministry? The apostle Paul explained this yet further in his letter to the Ephesian church: “And He Himself (Jesus) gave some to be apostles, some prophets, some evangelists, and some pastors and teachers, FOR THE… equipping of the saints for the work of ministry, for the edifying of the body of Christ, till we all come to the unity of the faith and of the knowledge of the Son of God, to a perfect man, to the measure of the stature of the fullness of Christ; that we should no longer be children, tossed to and fro and carried about with every wind of doctrine, by the trickery of men, in the cunning craftiness of deceitful plotting, but, speaking the truth in love, may grow up in all things into Him who is the head – Christ – from whom the whole body, joined and knit together by what every joint supplies, according to the effective working by which every part does its share, causes growth of the body for the edifying of itself in love”. (Eph 4:11-16) Emphasis added! So it is clear, every part of the body of Christ, the church, should ‘do its share’. At this point the objections start rolling in: ‘but I’m not able to stand up and preach, that’s not my gift!’ – ‘but I’m not musical, I can’t help with the worship!’ – ‘I don’t know enough yet, I’m not ready to lead others’, – ‘I’m not good with young people’, – ‘I can’t stay and help after the service because we’ve got friends coming to lunch’ etc, etc, etc! Again, Jesus said: “And he who does not take his cross and follow after Me is not worthy of Me”. A rich man once went up to Jesus and asked how he could inherit eternal life (Mark 10:17). Jesus answered him by saying that he should go and sell all his possessions and give the money to the poor. The man walked away. Jesus let him go. The point that Jesus made is that there is a sacrifice required when someone wants to become His disciple. It will cost us everything. You cannot serve two masters (Luke 16:13). The rich young man had become entangled in the things of this life and was unwilling to lay them down for the sake of the kingdom of God. He did not want a ministry, just the reward that comes from it (see Matt 10:42 / 1 Cor 3:8 / 1 Cor 3:14 / Col 3:23-24 / 2 John 8). Jesus said there would be a cost if we want to be His disciples; we will not be able to carry on our ‘old lives’ alongside. The good news is that when it comes to ministry there are many different ‘jobs’ to be done within the church, not everyone needs to preach or play an instrument. The Apostle Paul elaborates in 1 Corinthians chapter 12:4 “There are diversities of gifts, but the same Spirit. There are differences of ministries, but the same Lord. And there are diversities of activities, but it is the same God who works all in all”. In the Bible, the church is represented as a body with Christ as our ‘head’. Each individual Christian makes up a part of the body and is therefore necessary if the body is to function properly. You will no doubt agree that if your arm chose not to work because it was too busy doing other things, you would not be very impressed! So, in answer to the question, all Christians are not only eligible, but according to the Bible, are also expected to be involved in some form of ministry. Regardless of how mundane or glamorous a job may appear on the surface, all are vital and depend on each other in order to have a fully functional church. Having now dealt with the basic questions, let us consider what ministry entails, what our attitudes should be, how we should approach our ministries, and what the dangers and pitfalls are. Jesus said that the first and most important commandment is ‘You shall love the LORD your God with all your heart, with all your soul, and with all your mind.’ (Matt 22:37-38). This cannot be over emphasised. So many ministries fall down because people take their eyes of God. He must be first in our thoughts, in our affections and in our entire life. Make sure that your ministry, the work you do, is a distant second. God must be number one on a list of one. Never let what you are doing for God come before your own personal relationship with Him; if you do, both will suffer. Pride is the oldest sin in the Book! The attitude that ‘I’m better than this’ – ‘No one appreciates me’ – ‘I’ll show them’ – ‘Why do I always get the bad jobs’ – is straight from the Devil. “If the foot should say, “Because I am not a hand, I am not of the body,” is it therefore not of the body? And if the ear should say, “Because I am not an eye, I am not of the body,” is it therefore not of the body? If the whole body were an eye, where would be the hearing? If the whole were hearing, where would be the smelling? But now God has set the members, each one of them, in the body just as He pleased. And if they were all one member, where would the body be? But now indeed there are many members, yet one body. And the eye cannot say to the hand, “I have no need of you”; nor again the head to the feet, “I have no need of you.” No, much rather, those members of the body which seem to be weaker are necessary” (1 Cor 12:15-22). 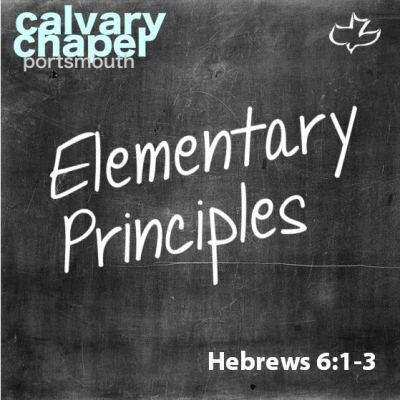 Acts chapter 6:1-4 shows a practical example of how each part of the body is important. The apostles arranged for seven people to be appointed who would be able to take care of the daily distribution of food, so that the apostles could concentrate on preaching the Word of God. As a result, we read in verse 7: “Then the word of God spread, and the number of the disciples multiplied greatly”. Without the willingness of the seven to take on, what we would call ‘menial tasks’ – waiting on tables etc, the apostles would not have been able to preach without hindrance, and the word of God would not have been able to spread, and hence the number of disciples would not have increased. Without question, you will be most effective if you are where God wants you to be! Understand that your ways are not God’s ways and God’s ways are above your ways (see Isaiah 55:8-9). The Psalmist, King David said that: “I would rather be a doorkeeper in the house of my God than dwell in the tents of wickedness”. (Psalm 84:10) Unfortunately, so many Christians want to be seen and rewarded; doing what they do to impress men, and not in loving service to a God for whom we could never do enough. Many times people have earnestly prayed ‘Oh Lord, please use me in any way You choose!’ – only to then find themselves putting the chairs out before the service and complain that they are just being used! If you feel that God has something more for you than your present ministry, follow the example of Joseph and keep serving God where He has placed you, until He chooses to exalt you. Be patient and allow God to engineer the circumstances for you. Better that, than to find yourself at the bottom of the table! We must learn from the King of kings who humbled Himself and became a servant, washed the feet of men He had created (John 13:5) – why? Because His heart’s desire was to do the will of His Father and bring glory to Him. A servant is not greater than His master (John 13:16). Jesus said: “But he who is greatest among you shall be your servant” (Matt 23:11). This is the way it should be for us. We should support, encourage and pray for our leaders, not criticise and undermine them! Most ministries in a church involve working under someone’s leadership; sometimes the Pastor or maybe a group leader etc. If we believe that God has anointed leaders and given them the ministries and positions they have, we must learn to be good servants and support them, even if at times we don’t agree. Before your alarm bells start ringing and you say ‘I’m not sure that I like that idea’, take a look at the examples in Exodus (ch32 & ch33) and Numbers (ch12 & ch16) where the people disputed with Moses because they didn’t like his leadership or the decisions he made. Observe the way that God dealt with those who went against Moses’ God-given authority! Incidentally, this doesn’t give those in authority a blank cheque to do what they want, they are still accountable to God, and James has this warning for them: “My brethren, let not many of you become teachers, knowing that we shall receive a stricter judgement” (James 3:1). And remember that in God’s Kingdom, he who rules should be as he who serves! Leadership in God’s book simply provides more opportunities to serve. (See also 1Peter 5:1-3). Paul said in Philippians 2 verse 14, “Do all things without complaining and disputing”. James says: “Do not speak evil of one another, brethren” (James 4:11); and again: “Do not grumble against one another, brethren, lest you be condemned” (James 5:9). But ultimately, all of this can be summed up in the words of Paul found in Ephesians chapter 5:15-21: “Therefore do not be unwise but understand what the will of the Lord is………submitting to one another in the fear of the Lord”. Sub-mitting means to get under one another’s missions or ministries and support each other. Much of what Christians do today is sub-standard. We have become the ‘tail’ looking to the world as the ‘head’; rather than leading the way we usually follow at a distance – usually a big distance. In the book of Ecclesiastes King Solomon wrote: “Whatever your hand finds to do, do it with your might;” (Eccl 9:10). The Apostle Paul said in 1 Corinthians 14:12, when talking about various ministries and gifts: “Even so you, since you are zealous for spiritual gifts, let it be for the edification of the church that you seek to excel”. However, Christians often organise and arrange ‘evangelistic’ events that are quite frankly an embarrassment. In 1 Corinthians 4:10, Paul classed himself as a ‘fool for Christ’, but so often this has been used as justification for doing things badly and being laughed at by the world. Paul also said that: “I have become all things to all men, that I might by all means save some. Now this I do for the gospel’s sake, that I may be partaker of it with you. Do you not know that those who run in a race all run, but one receives the prize? Run in such a way that you may obtain it” (1 Cor 9:22-24). What we do, we should do to our absolute best – we should aim to win. Not in the worldly sense of putting others down in order to get to the top ourselves, but out of a desire to give God the best. The Bible tells us that we are created in the image of God, and we know from His word that when He had finished creating, He looked at what He had made “And God saw that is was good” (Gen 1:10, 12, 18, 21, 25, & 31). This was not just ‘OK’ or ‘the best I had time for’, but the very best that it could possibly be. In the book of Deuteronomy God said the following to Israel “And the LORD will make you the head and not the tail; you shall be above only, and not be beneath, if you heed the commandments of the LORD your God” (Deut 28:13). When Jesus fed the five thousand, He didn’t provide just enough to go around, but so much that 12 baskets full were collected at the end. Read Exodus Chapter 25 to chapter 30 and see the detailed instructions that God gave Moses for the building of the Tabernacle and for making the priestly garments and various utensils that were to be used for sacrifice and worship. God is, without any doubt, a God of perfection and doesn’t do things by halves. We have been created in the image of God, is it wrong therefore for His people to adopt the same standard? “And whatever you do in word or deed, do all in the name of the Lord Jesus, giving thanks to God the Father through Him” (Col 3:17). At the start of something, we are very often full of enthusiasm and energy, ready to take on the world! This is very often the case with ministries; once we have become a Christian, the excitement and knowledge of our salvation often ‘propels’ us into ministry out of a desire to do something for God. Simon Peter and the disciples had immense enthusiasm, so much so that he stated that he was prepared to die defending Jesus. As we know, Simon Peter’s natural enthusiasm and courage came to an abrupt end in a courtyard when challenged by a young girl! The rest of the disciples? They ran away scared. Quite simply, they received the power of the Holy Spirit, no longer were they relying on their natural human abilities. Moses had a heart to set the people of Israel free from their Egyptian slavery. He started with all the enthusiasm that could be asked for when he killed the Egyptian. However, God made Moses wait for 40 years until he had learnt to rely on God’s strength alone. In fact, by the time God called Moses at the burning bush, Moses’ own enthusiasm and belief in his own abilities had all gone! (See Exodus chapter 3). Abraham’s attempt to ‘help’ God (he was enthusiastic to see God’s promises fulfilled), resulted in Ishmael being born, the descendants of whom have been a constant problem to Isaac’s descendants to this day – as prophesied in Genesis 16:12. Like Simon Peter, Moses and Abraham, many Christians have gone through a ‘time of trial’ at the start of their ministry, where they feel as though they have been ‘put through a furnace’. Peter, no doubt mindful of his own previous failings says: “Beloved, do not think it strange concerning the fiery trial which is to try you, as though some strange thing happened to you;” (1 Peter 4:12). God wants us to be perfect and complete, lacking nothing, but all too often we haven’t got the time; we know we need patience but we want it now! It has been said that nowadays many Christians spend just 3 years training for 30 years in ministry (rather than the other way round as Jesus did)! Even the Apostle Paul after his conversion waited for 14 years before his ministry began in earnest (see Gal 1:15 to 2:1). Moses waited 40 years, Abraham 25 years, Noah 100 years to see God’s promises fulfilled. David was anointed as Israel’s king many years before he sat on the throne, but he was prepared to wait for God to do things in His time. Proverbs 17:3 says “The refining pot is for silver and the furnace for gold, But the LORD tests the hearts”. The problem is not enthusiasm, but obedience and trust. Not obedience to ‘our’ ministry, but to God, in His way, in His timing. The idea with all forms of ministry ‘is not that we do work for God, but that we are so loyal to Him that He can do His work through us’.5 When we understand this we will be ready for whatever ministry the Lord calls us to. Very often at the start of a ministry ‘putting God first’ seems like the most natural thing. However, as the days go by, we can get complacent or simply forget that it is the Lord who has brought us this far. Like the children of Israel, our memories of God’s provision slip from our mind and we start to rely on our own strength again as if nothing had changed in our lives. Like Samson, we rise to meet the challenge without realising that God’s Spirit is no longer powering us (Judges 16:20). As we struggle we blame God for not being faithful and blessing our ministries; after all, HE called us to this ministry in the first place! We also start to become resentful of others who, on the surface, don’t appear to be doing as much as we are. We find ourselves in the Mary and Martha situation. This type of situation will probably ring true for many of us; we take our eyes off the Lord, things start to go wrong and all of sudden we start to notice others, who are apparently doing nothing! We cry out to God ‘It’s not fair’! Jesus also told the parable (Matt 20:1-15) of the man who hired workers throughout the day. At the end of the day he chose to give the same wages to all of them. Those who had worked longest and therefore hardest complained feeling unjustly treated. But as the man in the parable points out, each man received exactly what had been agreed. So it is with us, each of us answers to our own Master, (“work out your own salvation with fear and trembling” Phil 2:12), we have received that which we were promised (i.e. the salvation of our souls), and therefore we have no grounds to complain. NB: This is not suggesting that others will get away with doing nothing for the Kingdom, faith without works is dead (see Galatians 6:7 / Matthew 6:20-21 / 1 Cor. 3, for a start!). So, to summarise thus far, when we take our eyes off Jesus, we end up ‘sinking’. This is it in a nutshell. When we take our eyes off Jesus, even for a moment, and start to consider our circumstances, look at others, and start counting the cost, we will struggle. As a river is continually refreshed from the source, so must we be if we are to continue bearing His light and bringing glory to our Saviour. In Christian ministry we will continually be ‘giving out’ and unless we make sure that we also ‘take in’, we will dry up, and our ministry, and more importantly, our own spiritual life will be affected. Daily Bible reading, prayer without ceasing, fellowship with other Christians; all of these are absolutely essential if we are to be pleasing to God and effective in our ministries for Him. It will never cease to be a source of amazement, how many Christians know nothing of God’s Word and yet expect to have fruitful ministries. As we have already seen, Jesus said that we should make disciples and teach them. What will we teach them if we don’t know the Word of God? All we will have is our own ideas and opinions – again, we will end up sinking, and no doubt blaming God! Dr Paul Yonggi Cho, is the pastor of the Central Church in Seoul, Korea which now has over half a million members. In his book ‘Prayer – Key to revival’8 he explains that unless he got up early and spent time with the Lord before the start of each day, he would not be able to cope with all the demands that are placed upon him. We have the hope of all that is before us to look forward to, this alone should give us the resolve and determination to keep pressing on. “Jesus Christ says, in effect, ‘Don’t rejoice in successful service, but rejoice because you are rightly related to Me’. The snare in Christian work is to rejoice in successful service, to rejoice in the fact that God has used you. You never can measure what God will do through you if you are rightly related to Jesus Christ. 2) Chambers, Oswald, My Utmost for His Highest, – December 18th (United Kingdom: Marshall Morgan & Scott) c1927. 3) Chambers, Oswald, Abandoned to God, (United Kingdom: Marshall Morgan & Scott) c1993. 4) Chambers, Oswald, My Utmost for His Highest, – February 21st (United Kingdom: Marshall Morgan & Scott) c1927. 5) Chambers, Oswald, My Utmost for His Highest, – December 18th (United Kingdom: Marshall Morgan & Scott) c1927. 6) Chambers, Oswald, My Utmost for His Highest, – June 18th (United Kingdom: Marshall Morgan & Scott) c1927. 7) Chambers, Oswald, My Utmost for His Highest, – April 13th (United Kingdom: Marshall Morgan & Scott) c1927. 9) Chambers, Oswald, My Utmost for His Highest, – August 30th (United Kingdom: Marshall Morgan & Scott) c1927. 10) Chambers, Oswald, My Utmost for His Highest, – December 18th (United Kingdom: Marshall Morgan & Scott) c1927.